A private luxury tour designed just for you. Tour 3 countries in 12 days, including a Nile cruise. All transportation is included. A private guide and driver will accompany you on all of the tours. Stay in the best 5 star hotels wherever you go. This tour can be tailored to your needs, days added or subtracted. From your arrival at the Ben Gurion airport, a driver will be waiting to take you to your hotel in Tel Aviv. Overnight Tel Aviv. Day 2: Nazareth and Sea of Galilee. 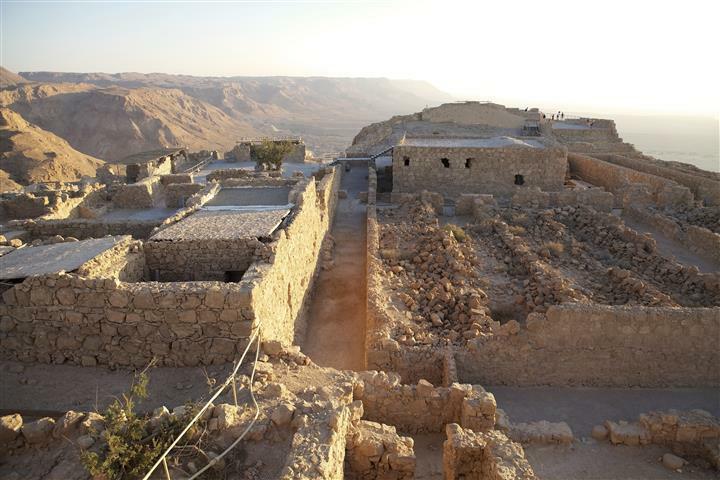 Eat breakfast in the morning, and start your day driving towards Nazareth with a view of Megiddo. When arriving in Nazareth stop at the Mount of Precipitation. Drive to the Church of Annunciation and the Church of St. Joseph. Pass by Cana and continue on to Mount Beatitude and Capernaum, where we will tour the Benedictine Church. Stop at the Sea of Galilee, if you wish there will be a chance to be baptized in the Jordan River, at Yardenit. On the return journey pass Mount Tabor. Overnight Tel Aviv. Day 3: Caesarea, Acre, and Haifa. 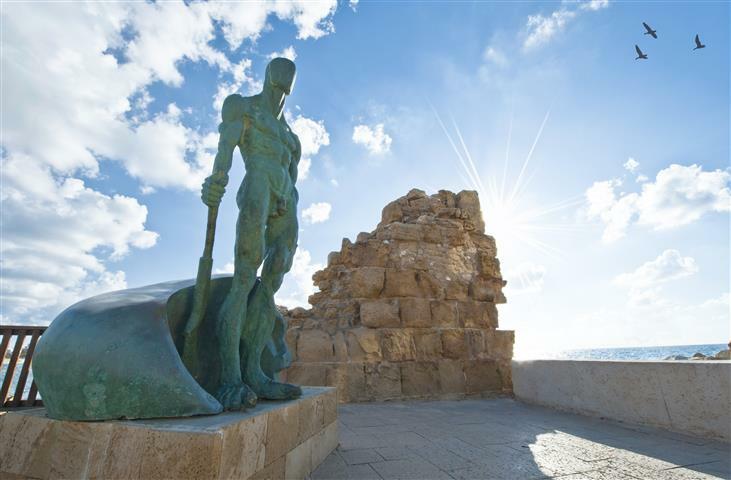 After breakfast drive along the Mediterranean Coast and arrive in Caesarea. 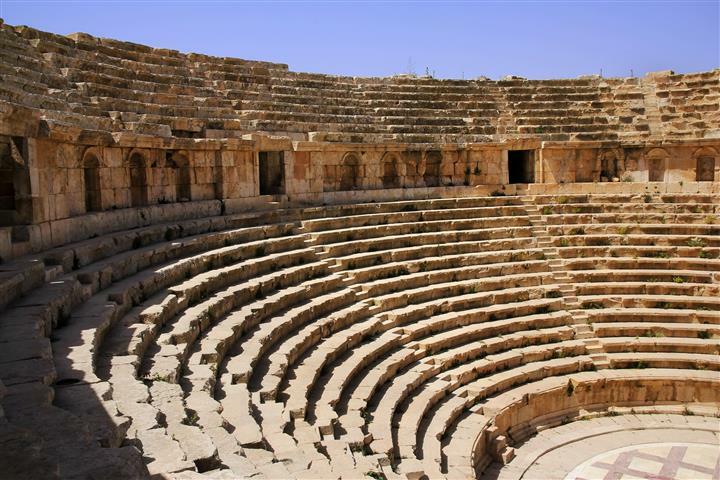 Tour the Roman Theater and the Hippodrome. Continue on to tour the remains of a Roman Temple. 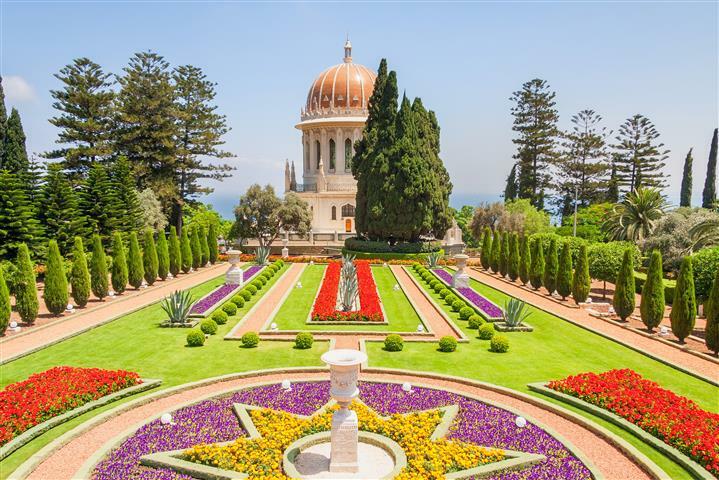 Arrive in Haifa to tour the Baha’i gardens and shrine. Continue north and stop at Rosh Hanikra, to descend in a cable car to the grottos, and stroll through the caverns. Our final stop for the day will be Acre. 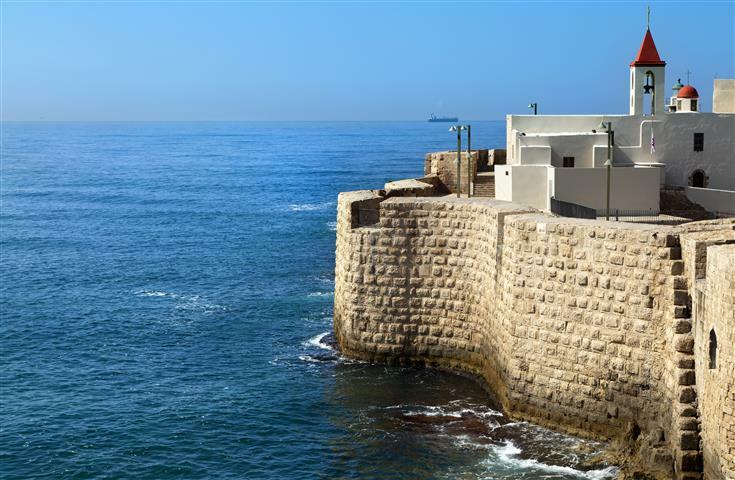 Tour the crusader city and the Turkish prison. Overnight in Tel Aviv. Drive to Jerusalem after breakfast, and arrive for a view of the Old City before you. 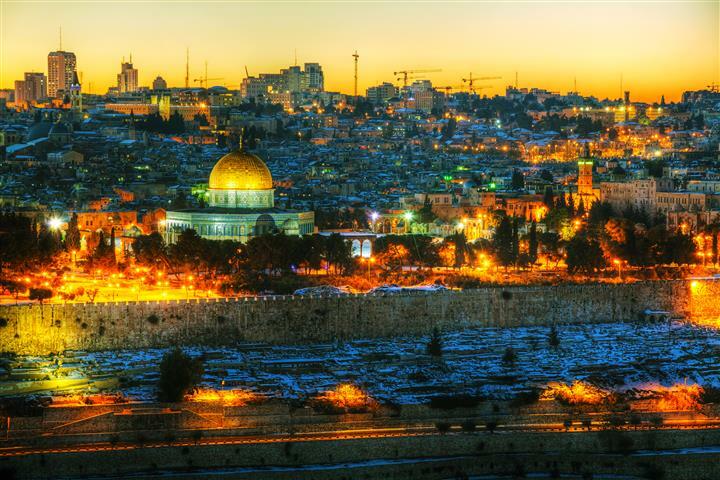 See the Mount of Olives, the Church of all Nations, and the Garden of Gethsemane. 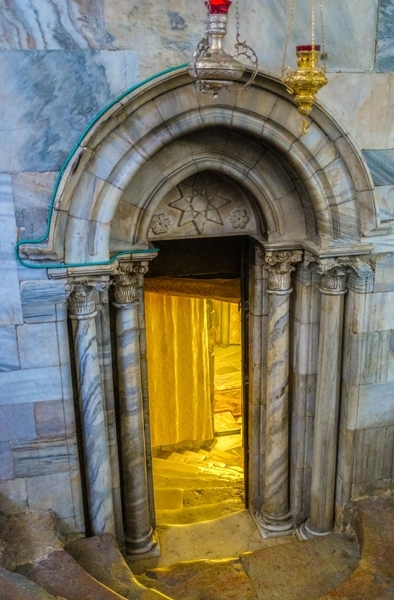 Enter the Old City by the Zion gate, pass the Armenian Quarter, to arrive at the Byzantine Cardo. Walk through the Jewish Quarter and stop at the Western Wall. 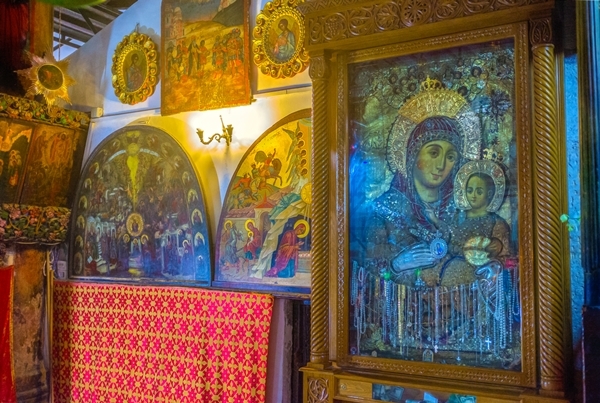 Stroll along the Via Dolorosa, and follow the Stations of the Cross, to finally arrive at the Church of the Holy Sepulchre. Walk along the Old City market before departing for Bethlehem. When arriving in Bethlehem walk across Manger Square to start the tour of the Church of Nativity. As we are leaving see the field of Ruth. Overnight Tel Aviv. 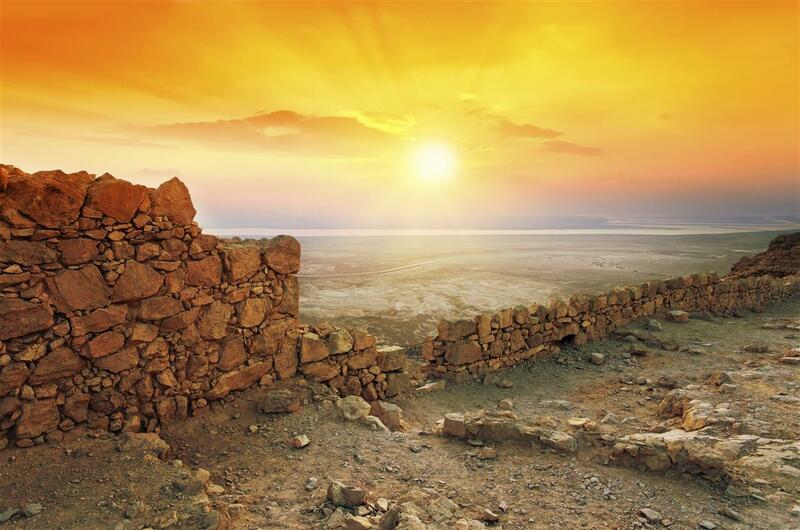 Start the day with a drive through the Desert to arrive at Masada. Take a cable car to the top, all the while your guide will explain your surroundings. When arriving at the top start touring the palaces, the beautiful restored bath house, Roman barracks, and ancient synagogue, and more. 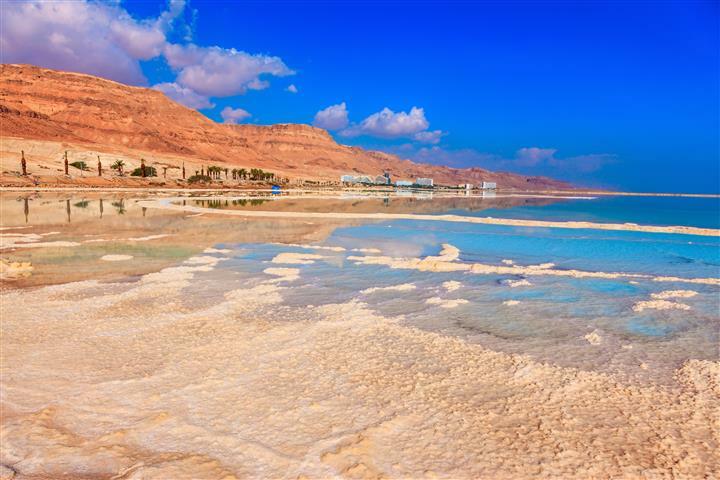 After touring Masada continue on to the Dead Sea. 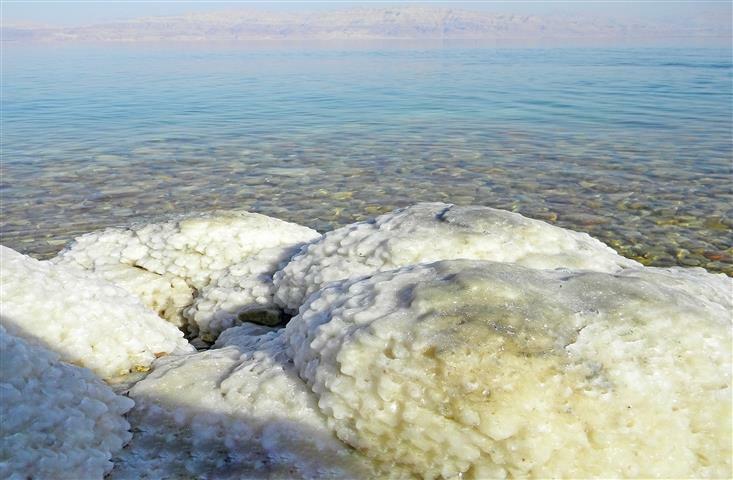 At the Dead Sea, go for a swim or a mud bath. Overnight Tel Aviv. Early in the morning catch a flight to Eilat from the Sde Dov airport in Tel Aviv. A driver will be waiting for you at 08:15, and transfer you to the Arava border. After the border proceedings a driver will take you to Petra (about a 2 hour drive). 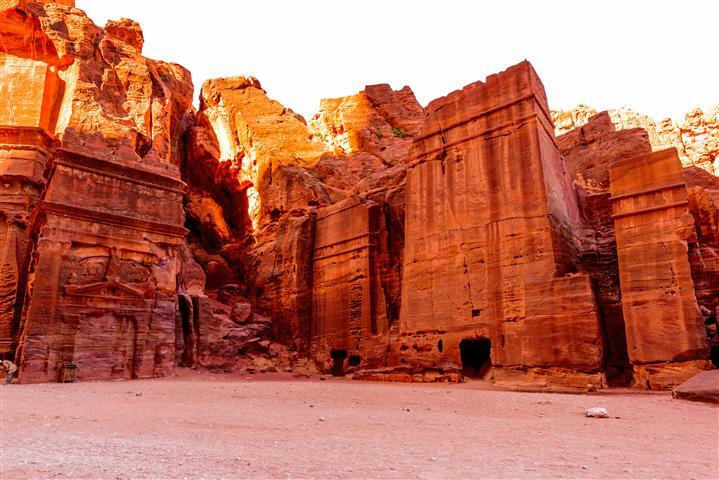 Tour Petra with your private guide to see the amazing Treasury, the tombs, a Roman Theater, temples, and more. 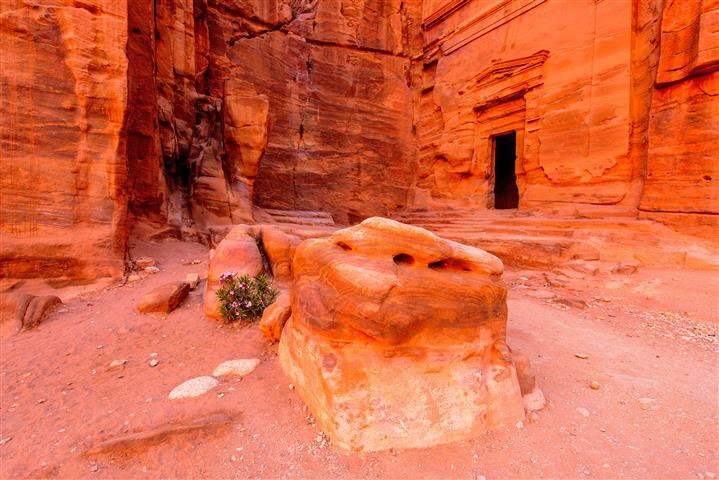 After the tour you have an option to stay overnight in Petra, or to stay in Wadi Rum. 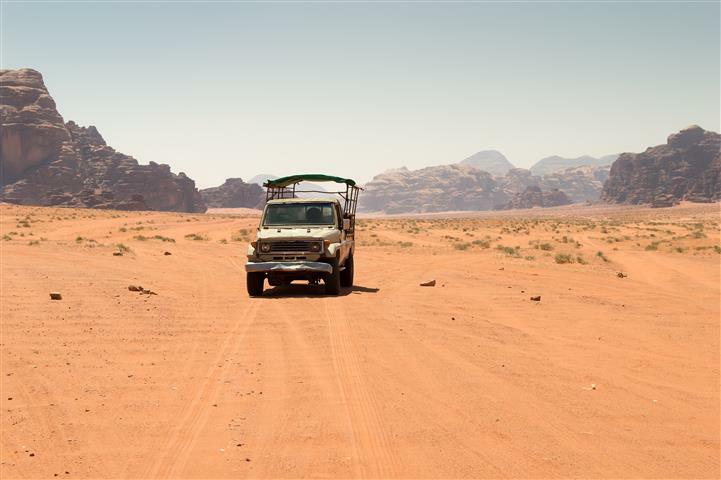 After breakfast go for a 4 hour jeep tour in the desert. 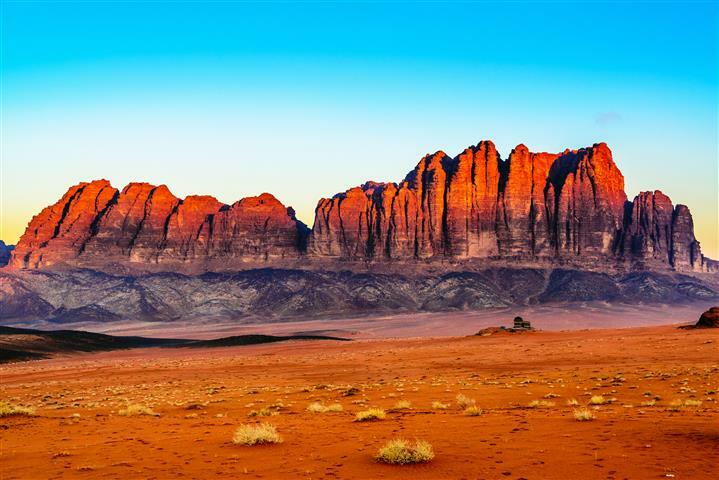 Tour the desert of Wadi Rum to see how the Bedouins live. There are sandstone paintings on the side of the mountains that are thousands of years old. After the tour head back to the Arava border. Take a short ride to the Taba border, cross the border and proceed to Sharm, Egypt. An Egyptian driver will take you to your hotel in Sharm for overnight. Take an early flight from Sharm to Cairo. A driver will be waiting for you in the Cairo airport. 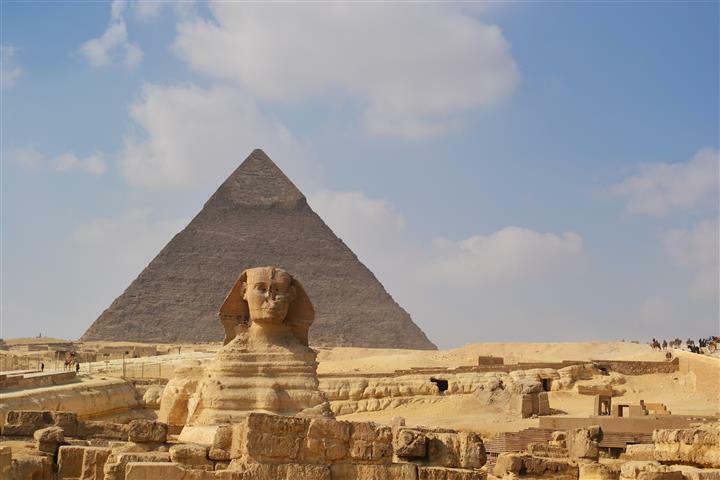 Tour the pyramids and the Sphinx. Shop in the famous Khan el Khalili Bazaar, where they sell everything. 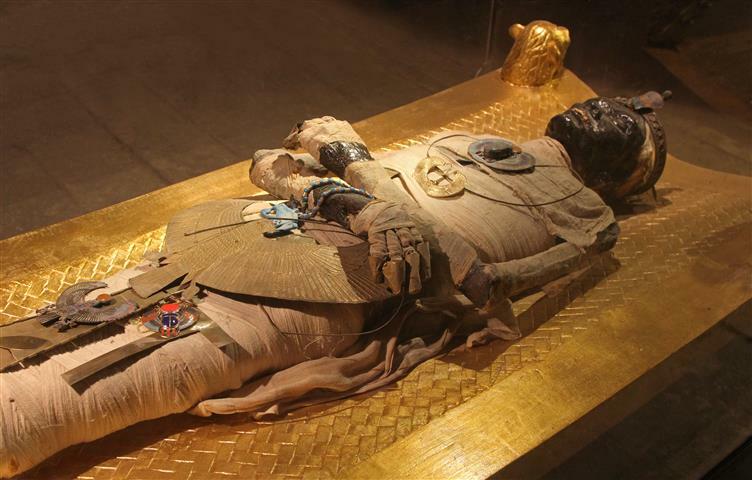 Continue on to tour the Egyptian Museum, with the largest collection of ancient artifacts in the world. Overnight in Cairo. After breakfast tour the Saakara Valley to see the most famous pyramids like the Djoser pyramid. Drive and tour the Old City of Cairo, the fortifications, Churches, and Mosques. Overnight in Cairo. Get on an early morning plane to Aswan. Check into the cruise ship. There will be a representative waiting to take you to the ship. 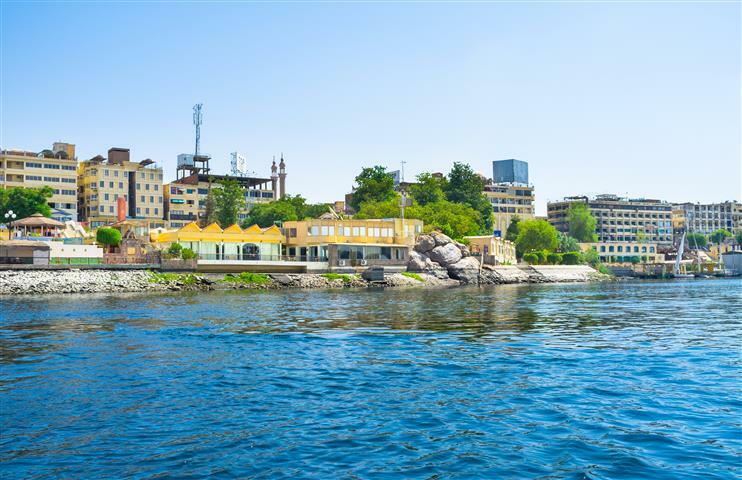 In the afternoon take a tour of Aswan, one of the most beautiful cities in Egypt. Tour the High Dam, and enjoy a motor boat ride to Philae Island and tour the Temple of the Goddess Isis. 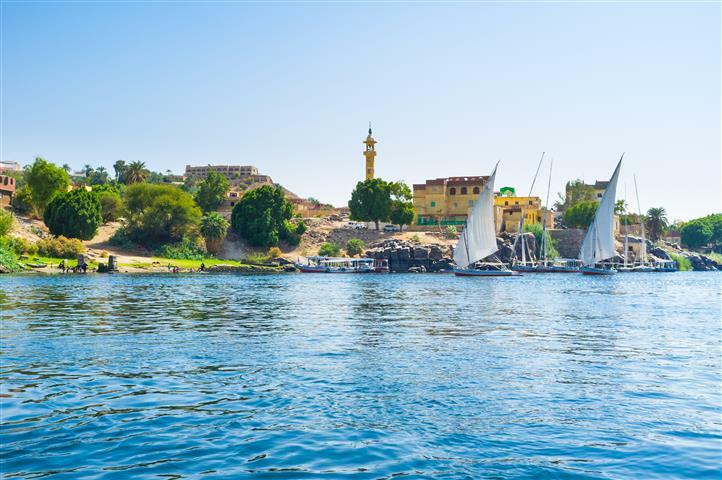 Enjoy Felucca around the Islands. Return to the ship for dinner. Breakfast, Lunch, and Dinner included. Day 13: Karnak and Luxor temples. Breakfast and check out from the cruise. Tour the East Bank, the Karnak temple is the largest complex that was constructed in the world. It covers an area of over 100 acres and is very impressive. Continue on to tour Luxor temple. 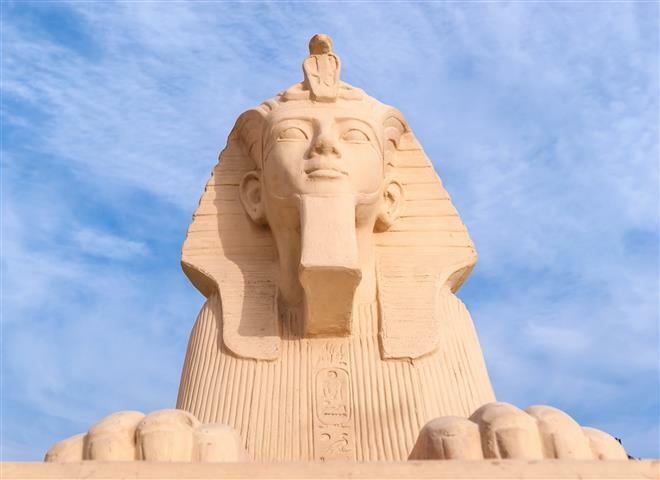 After the tour your will be transferred to the Luxor airport for departure to Cairo. From here you can leave on your international flight from Cairo. Or you can contact us for different departure city. 3 nights’ 5 star accommodation on the Nile Cruise on the basis of full board. All sightseeing tours with a private guide, and driver. 8 days guided touring + 4 days touring on the cruise. Visa, Jordan, we provide it for you at the border for a fee of $75 per person. Single supplement (if there are an odd number of people traveling) $250 per night.